After a decade or two in the wilderness, one of Japan’s biggest names in audio, Yamaha, is back, playing the hi-fi game. The company – who made its first musical instrument back in 1887 – eschewed hi-fi products in the early noughties in the pursuit of AV. But, now it has spectacularly returned to its music roots, with a new range that is distinctly high-end. The Japanese giant has launched what it calls its ‘Reference Audio’ line – an upmarket range that includes two SACD/CD players and two integrated amplifiers. With prices starting at £800 and rising to £1,500, the company clearly believes that hi-fi is no longer ‘dead’. 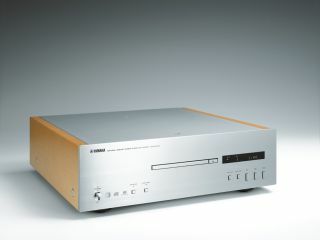 The Reference Audio line-up comprises the A-S1000 integrated (£900), a matching SACD/CD player – the CD-S1000 (£800), plus a premium amp and SACD player; the A-S2000 (£1,500) and the CD-S2000 (£1,000). All products in the range feature a wide number of proprietary technologies and, of course, that retro-cool look. The SACD/CD players are both based around a ‘silent’ slot-loading mechanism, which shuns noise-producing gears for “totally silent tray movement”. The duo also share independent power supplies and a ‘Pure Direct’ circuit for audiophiles – which switches off the display and digital output for optimum sound quality. The amps are special too: they both incorporate ‘a third approach’ to amplifier design – Yamaha’s Floating Balanced Power Amp, a fully symmetrical layout, that’s said to offer very low noise and distortion.